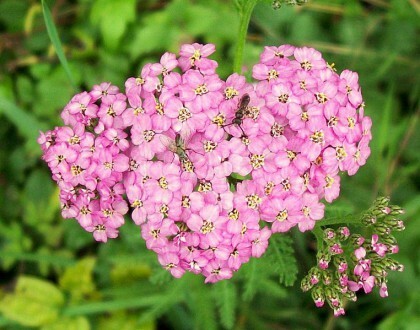 Yarrow is a flowering perennial with fragrant, fine-textured leaves. Tiny flowers are clustered together in flat displays, layered on top of stems. Depending on the variety, flowers bloom in many colors, June-September. 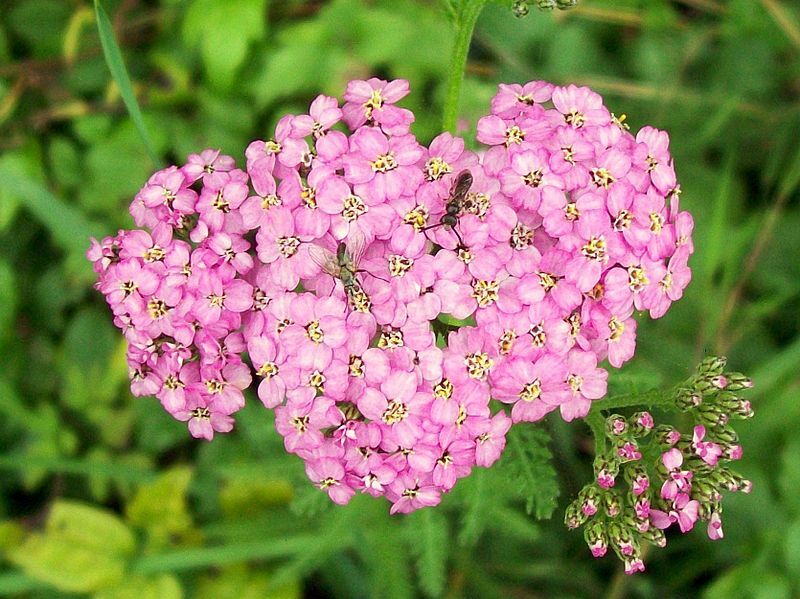 Yarrow is easily grown in average, well-drained soil, and is drought-tolerant once established. This plant can spread through rhizomes and self-seeding, and should be divided as needed. 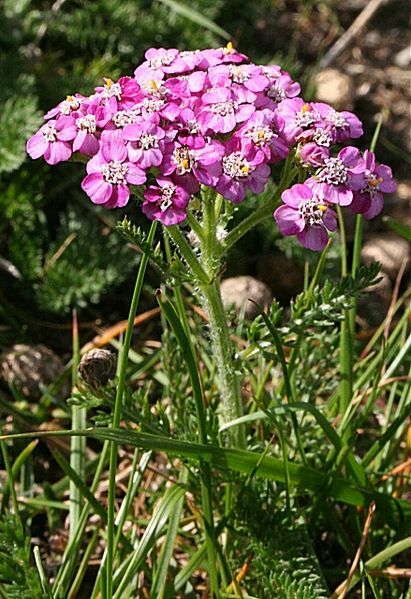 Best used in wildflower gardens, meadows, and naturalized areas.